Club ByLaws Club's Monthly "Cruz News"
Monthly Meetings are the 3rd Wednesday of the month. Meetings are held at Apple Valley Ford in Apple Valley Cty. Rd. 42 just 2 blocks east of Cedar Ave. Apple has a special area set aside for our Club Cars to display during meetings. Exception: There's NO MEETING in March or December. 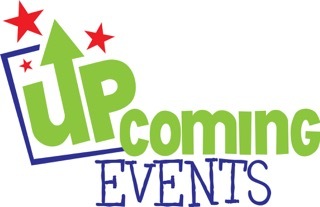 "Cruzers Night Out" are usually Monthly September thru May (INFO is posted in the Cruz News or above Upcoming "Club Events Calendar") Weather permitting we meet somewhere with the cars & cruise to a restaurant to eat. In the winter we meet at the restaurant using our "grocery getters". On occasion they move around datewise. 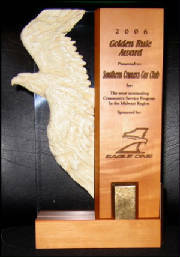 We were the recipients of the 2006 AND 2009 EAGLE ONE GOLDEN RULE AWARD for the Midwest Region! The award is given out by Eagle One and Valvoline. We are the only Midwest TWO time winner.